Add all ingredients in a bowl and mix. Using a 1/2 cup separate into 3 balls. Use a patty press or hand to flatten to make 3 burgers. Cook about 5 minutes per side. If cooking from frozen about 10 minutes per side. Micah's speciality: Butter two pieces of toast. Spread some teriyaki sauce (best kind is House of Tsang) on each side. Top burger with swiss cheese. Add either parmesan or pineapple. Cook meat. Add remaining ingredients and let simmer. Add your ketchup liberally on top of meat mixture to finish off your Philly Cheesesteak! 1. Peel and cut sweet potatoes into small chunks. Boil until tender (fork will easily slide through). Mash. 2. Cook ground meat until brown. Drain off fat. 3. 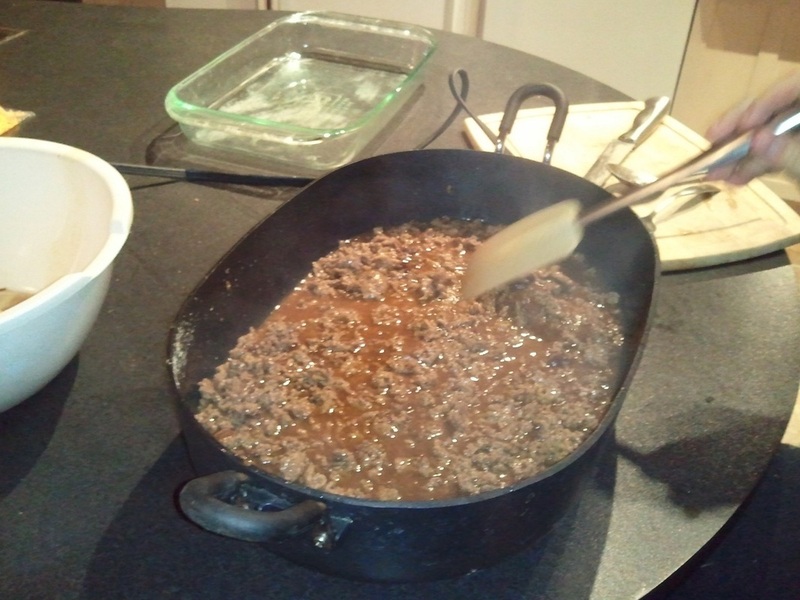 Stir sauce into ground meat and heat until sauce gets thick. 4. 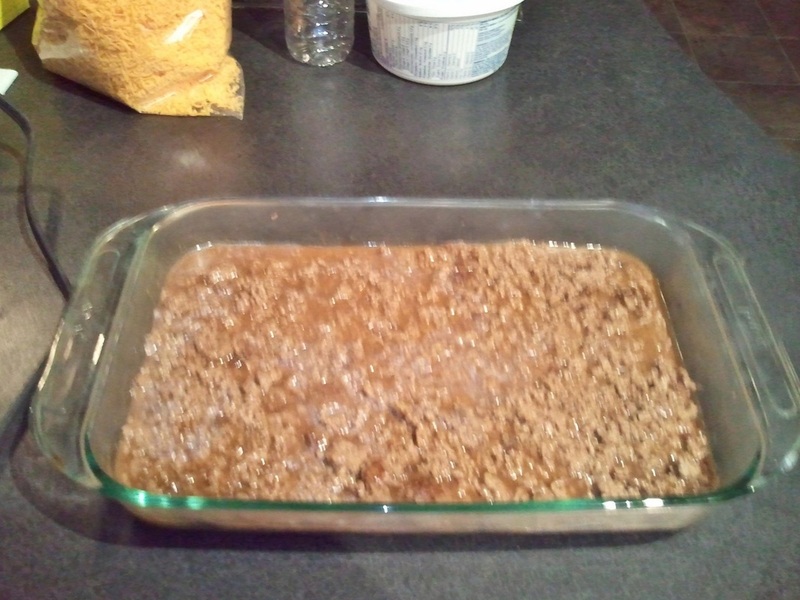 Put ground meat mixture in 9x13 pan. 5. 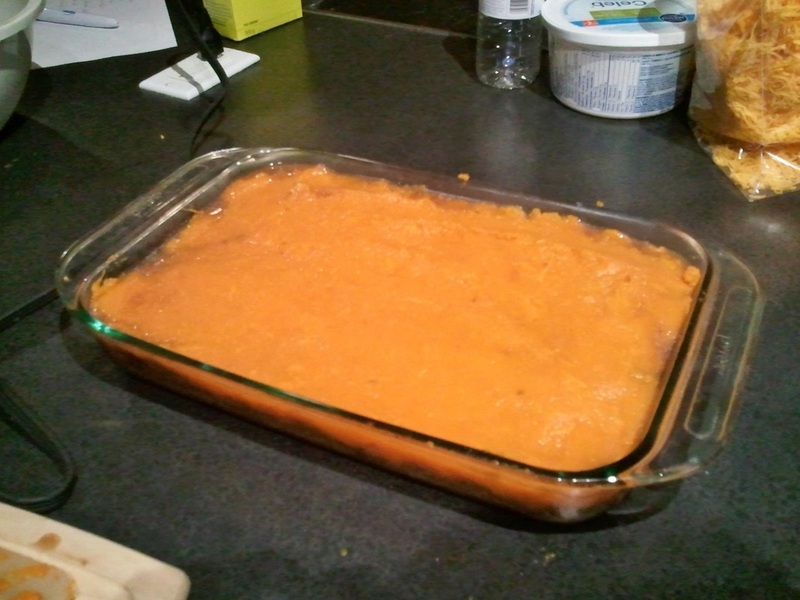 Spread mashed sweet potatoes over meat. 6. Cover potatoes with layer of cheese. 1. Cook bacon in electric skillet until crispy. 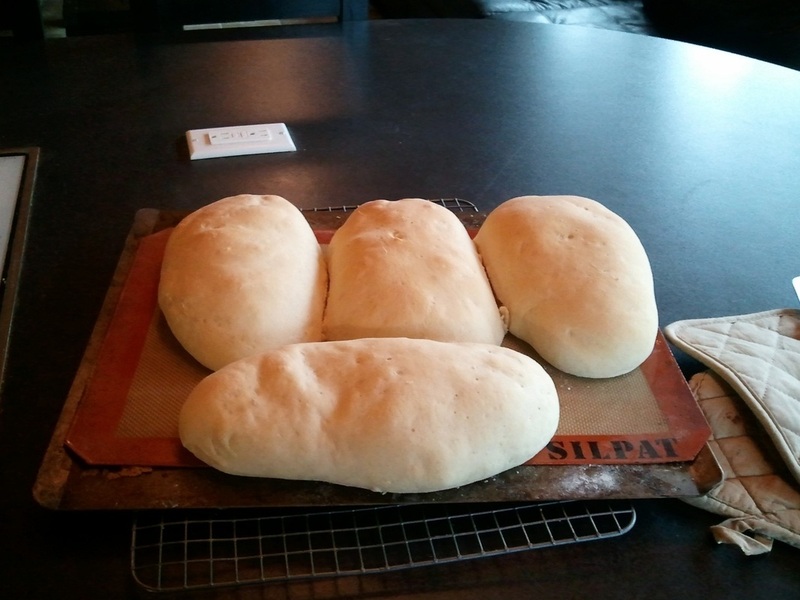 Remove from pan and place on paper towels to dry. 2. Cook beef in frying pan until brown. Drain fat. 3. In large pot add crushed tomatoes, tomato paste, chipotle peppers, kidney beans, oregano, chili powder, and cumin. Set on low heat. 4. Dice onions. 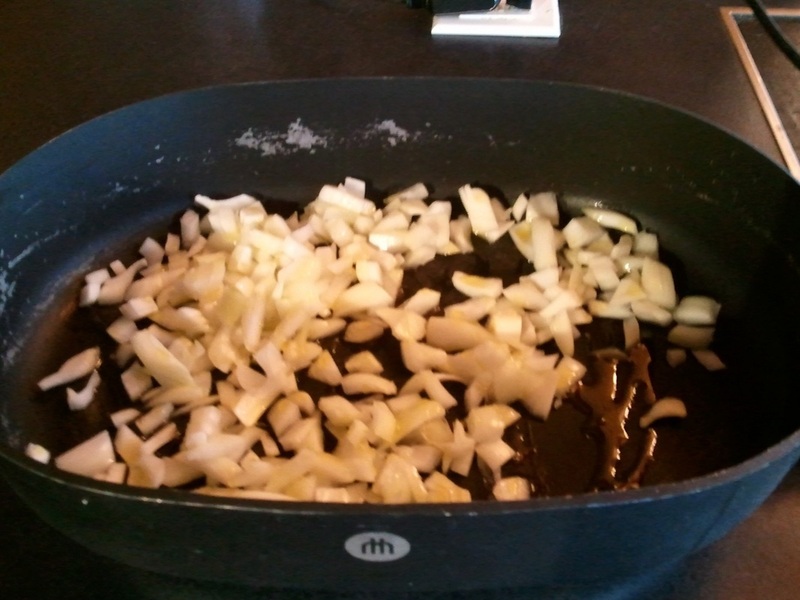 Cook onions in bacon grease until the onions are soft. 5. Add cooked onions, cooked ground beef and bacon (crumbled) to large pot mixture. 6. Simmer on medium/low heat for several hours. 1. Boil egg noodles according to package. 2. Brown hamburger in large skillet. Drain off excess fat. Season with thyme. 3.. Mix gravy packet and beef bouillon in 2 cups hot water. Add to cooked hamburger. 4. Add corn and heat through. 5. 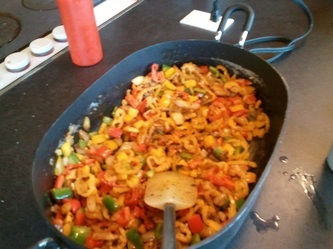 Just before serving add sour cream (as much as you like) to mixture and serve on top of noodles. 1. Soak coals in lighter fluid and let it sit for 5 minutes. Light coals on fire and let fire burn down until there are just red coals (no flame). 2. 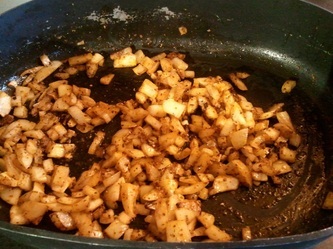 Add chopped onions and 2-4 Tbsp olive oil to Dutch Oven. Place over hot coals and cook until onions are soft. 3. Add ground beef to onions. Place lid on Dutch Oven and cook, stirring occasionally, until beef is no longer pink. 4. Blend chipotle peppers in adobe sauce, gravy mixes and water together in a blender (if you like spicy, you can add 2 cans of chipotle peppers). Cook spaghetti as directed on package. Do not cover cook! Drain and set aside. Brown hamburger and drain off fat. In large bowl combine hamburger and cooked spaghetti. Add sweet and sour sauce and lots of ketchup. It’s kind of difficult to mix, but do the best you can. 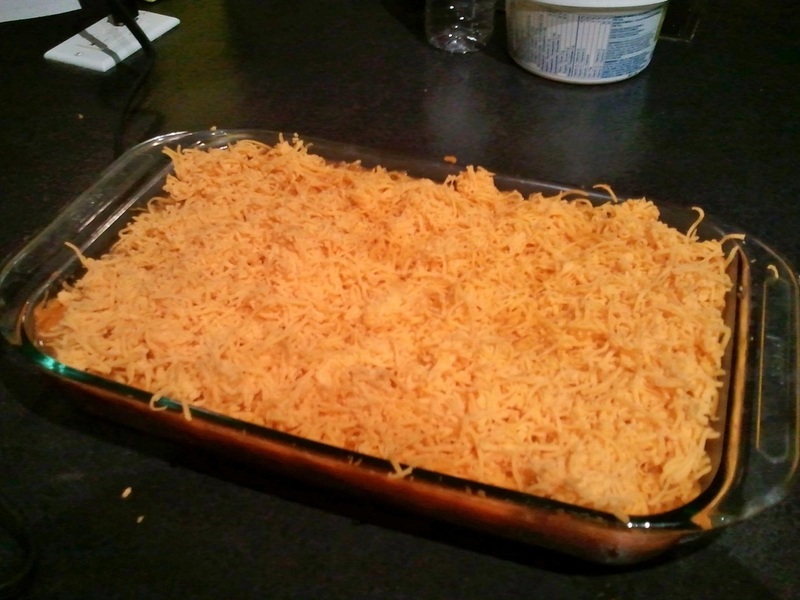 Pour mixture into large casserole dish and cover with cheese. Bake at 350 degrees for 30 minutes. Micah’s Twist: Add ½ cup hoisin sauce with the sweet and sour sauce and ketchup. Gives a unique flavour! He also like to use 1 tsp cayenne to make it spicy. Combine hamburger, rice, egg, seasonings and 1 large Tbsp tomato soup. Form into meatballs and place in a large saucepan with sides. Put remaining soup in bowl and mix with same seasonings and a few shakes of Worcestershire sauce. Add 1 can water. Pour over meatballs and cover pan. Cook on medium heat without turning for about 25 minutes. Brown ground beef. Add taco seasoning packet and enough V8 juice to make a soupy mixture. Serve over Frito corn chips with lettuce, tomatoes, cheese and sour cream. 1. In skillet, cook onions in oil until softened, about 5 minutes. 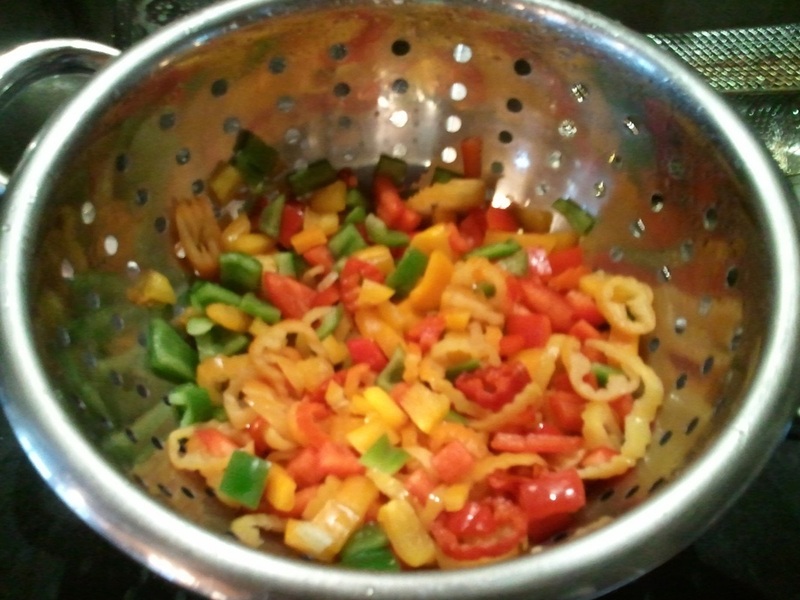 Add garlic and jalapeno and cook until peppers have softened slightly. 2. In bowl, combine ground bison and egg with clean hands. Form into 4 palm sized patties. 3. Mash together avocados, lime juice and spice to make an easy guacamole sauce. 4. Preheat grill or George Foreman. Grill for 5-7 minutes on each side or until juices run clear. Flip only once. 5. 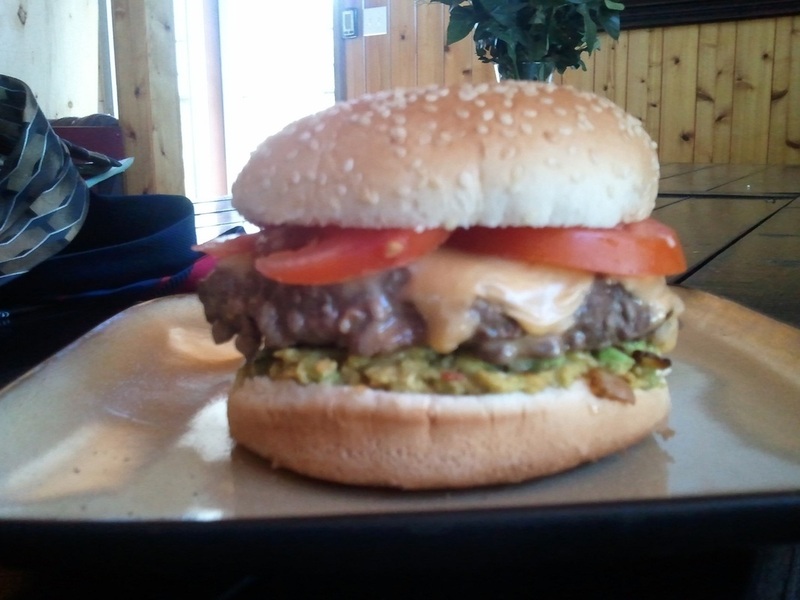 Serve on hamburger buns with a layer of guacamole, lettuce, tomato and jalapeno/onion mixture.